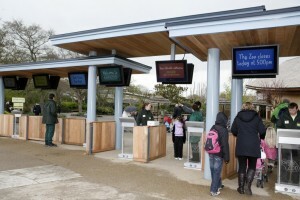 Martin King, the Head of IT at Chester Zoo explains how the new all-weather Aqualite TV display screens have been deployed to manage the queues at Chester Zoo. “It’s been an exciting project using all of my IT team’s skills. The IT development team made the FastTrack software, and we purchased eight Acante kiosks, customising them to run our software. We then linked them to the Aqualite overhead screens, which we can use to dynamically change the queues. “Aqualite Outdoor TV screens were recommended to me by PureAV, and after a convincing demonstration we decided it was the right product for us. The main features that separated it from the competition were price, durability and the quality. Providing a full HD picture in an Outdoor, fully IP rated screen with high brightness options ticked every box for our application. We needed the TV displays to look good, display a great picture and have enough brightness to be seen when the sun was out in full view. 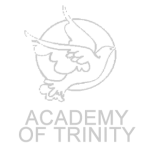 We are very pleased with the product and I would recommend them to anybody seeking a similar solution”. “We can now send prepaid visitors, groups etc. to specific queues using the screens which we can dynamically change from a web page. If we know there are lots of large groups coming through we can change some of the screens to create dedicated group entrances depending on the visitor flow on the day”.